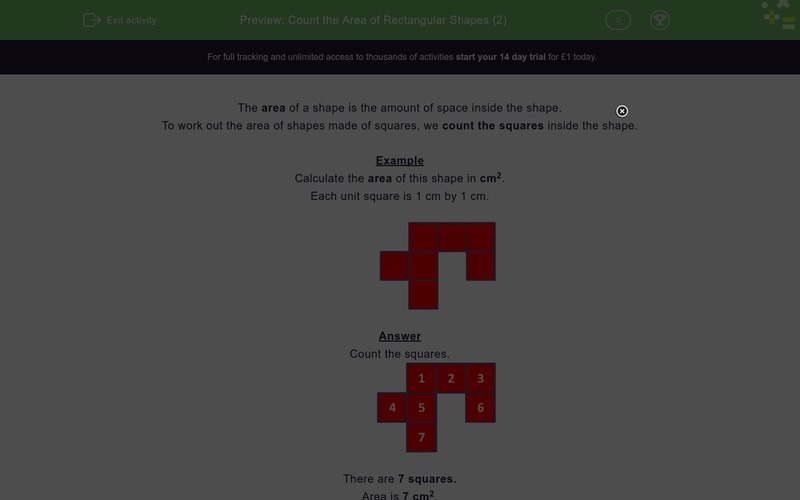 In this worksheet, students must calculate the area of rectilinear shapes made of cm or m squares by counting the squares. 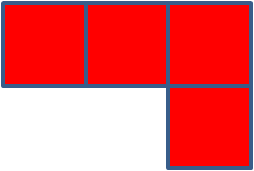 The area of a shape is the amount of space inside the shape. 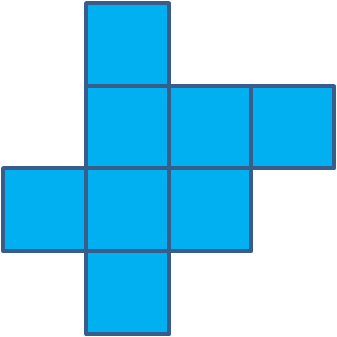 To work out the area of shapes made of squares, we count the squares inside the shape. Calculate the area of this shape in cm2. 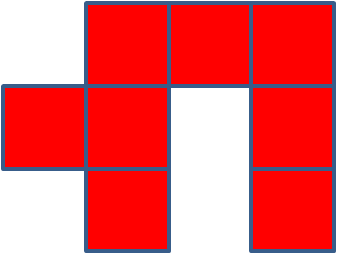 Each unit square is 1 cm by 1 cm. We read this as "seven centimetres squared". 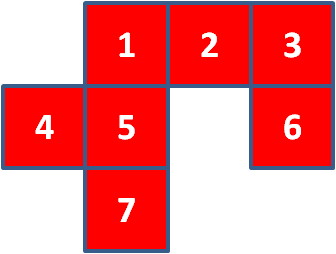 If the lengths are in metres, the area will be in m2. Calculate the area of this shape in m2. 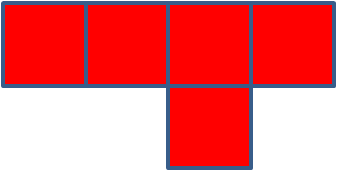 Each unit square is 1 m by 1 m.
There are 4 centimetre squares. 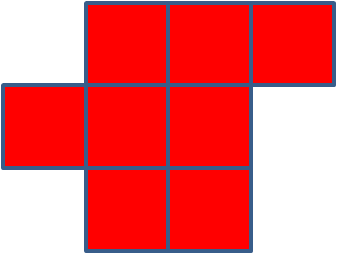 There are 4 metre squares. 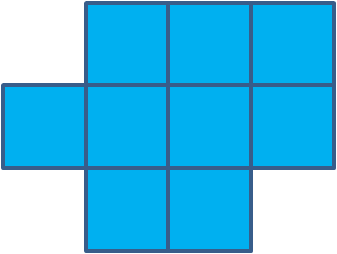 There are 5 centimetre squares. 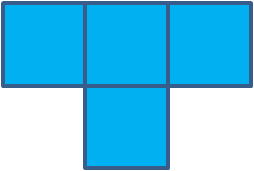 There are 5 metre squares. 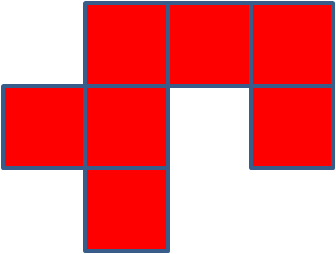 There are 6 metre squares. 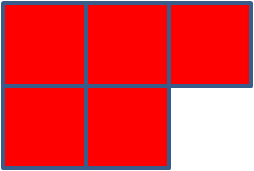 There are 8 centimetre squares. 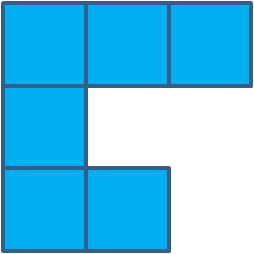 There are 9 metre squares. 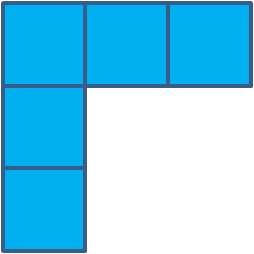 There are 8 metre squares.